Just as we did in May, Macworld staffers got together to chat about the best apps they’ve been using recently. Here are some that have recently captured our imaginations (and perhaps a spot on our homescreens), whether they’re tiny apps from budding developers or the top-grossing apps that everyone is using. Our hope is that, while you might recognize some of these apps, others you might never have encountered. All of them, we think, are worth a look. When not tethered to my computer, I like to spend time hiking around the beautiful natural environment that surrounds my home in the Monterey Bay Area. There’s only so much grandeur one can endure, however, without eventually dismissing it as yet another lovely landscape. For this reason, I like to devote portions of my attention to exactly what I’m looking at—a bird, wildflower, insect, tree, or seashell. 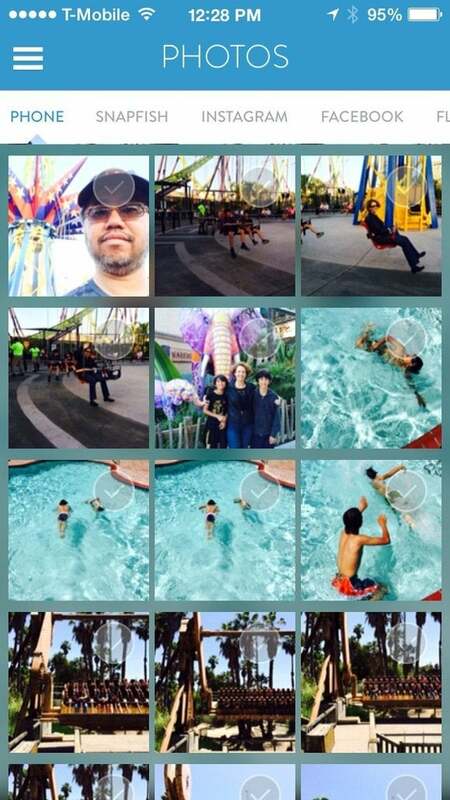 I can do exactly that with the help of Green Mountain Digital’s $5 Audubon Nature California. Because the flora and fauna it lists is confined to my home state, it needn’t pack its database with shrubs and critters that aren’t normally found here; this makes identifying things a bit easier. 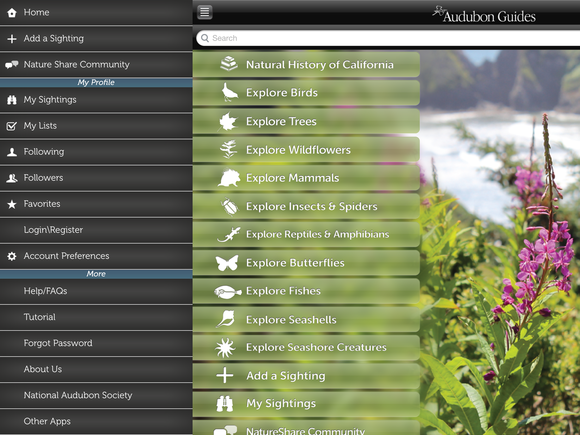 Like Green Mountain Digital’s other Audubon guides, it allows you to browse by shape, family, and name as well as provide an advanced feature where you can select such information as shape, habitat, color, and size to help narrow your search. You can additionally keep lists of your sightings, and—with a free NatureShare account—share the location of your finds with others. If you don’t happen to live in California, don’t fret: There are Audubon guides for other regions as well, including New England, Texas, Southwest, Mid-Atlantic, and Rocky Mountain. Since I’ve already reviewed one GIF-making app this week, I might as well keep up the trend. This month’s recommendation, GIFwrapped, is a little app I picked up from Federico Viticci over at MacStories, who raved about it back in February. 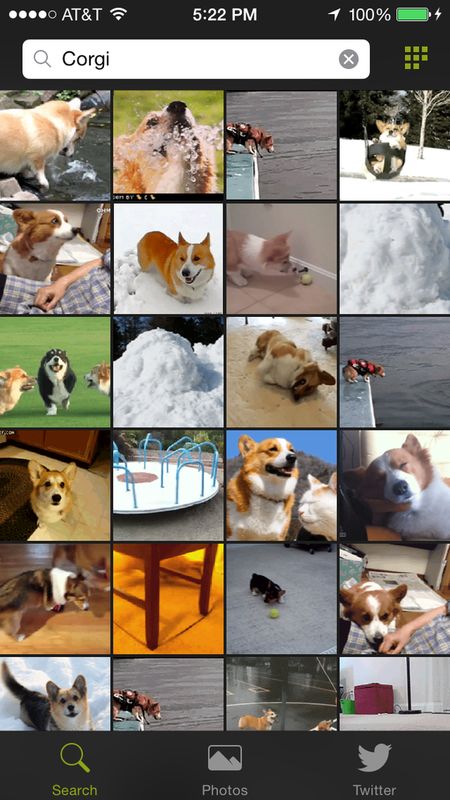 It’s a great app to store and quickly find GIFs you want to share with your buddies, and the Dropbox sync options keep them out of your iPhone or iPad’s photo library and in the cloud, so that they don’t continually clog up space. Pervasiveness aside, I have to admit that I don’t mind the songs all that much, especially when sung by my own flesh and blood. Which is why my girls and I have both taken a liking to Disney Karaoke: Frozen, the latest in Disney’s series of iOS apps that let you sing—and record yourself singing—over the melodies of your favorite Disney tunes. 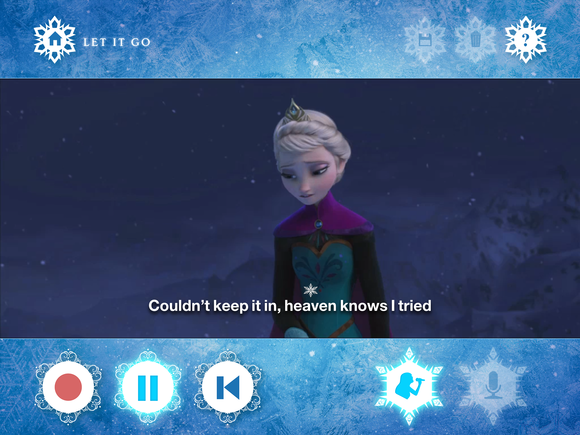 Just launch the app and tap one of the nine included songs, and you see what’s essentially a music video (composed of clips from the movie), with the song’s lyrics displayed on the screen; a bouncing snowflake helps you keep in sync. Pressing the play button lets you listen to the original vocals; pressing record lets you record your own voice, with your recordings saved to a searchable gallery of tracks. (You get better results using headphones to avoid picking up the original audio through the microphone.) You can disable or enable the original vocals in either mode. You can’t rewind a song while practicing (other than all the way to the beginning), or expand the video to full screen while watching or recording—the app’s large bars of button are always visible—but the app is fun, easy to use, and it’s full of Frozen. My kids think it’s awesome, and though they can’t get me to sing, I admit to a lot of smiles. I confess, I missed out on the Flappy Bird craze. 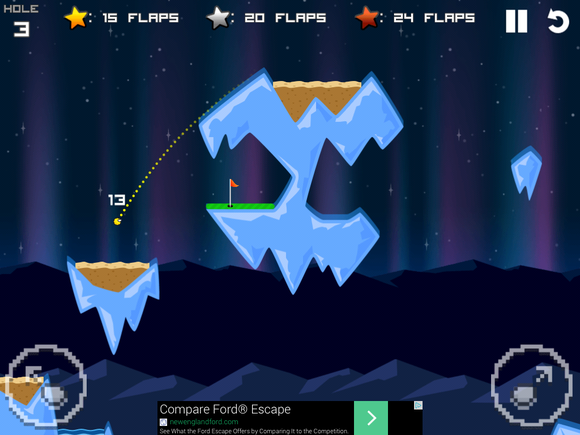 I was even hesitant to load up Flappy Golf, though it came from a trusted source—the developers of one of my favorite games, Super Stickman Golf 2—and I was constantly pestered about it by my colleagues. Honestly, I don’t know why I waited so long. The game borrows from company’s original golf title, but changes the mechanic: Instead of playing the part of a little stick figure golfer you are the ball, and you must flap your way into the hole—in as few flaps as possible. It’s surprisingly fun and addictive, and as long as you don’t mind a couple ads, free!